With warmer weather comes a little bit of color infusion. 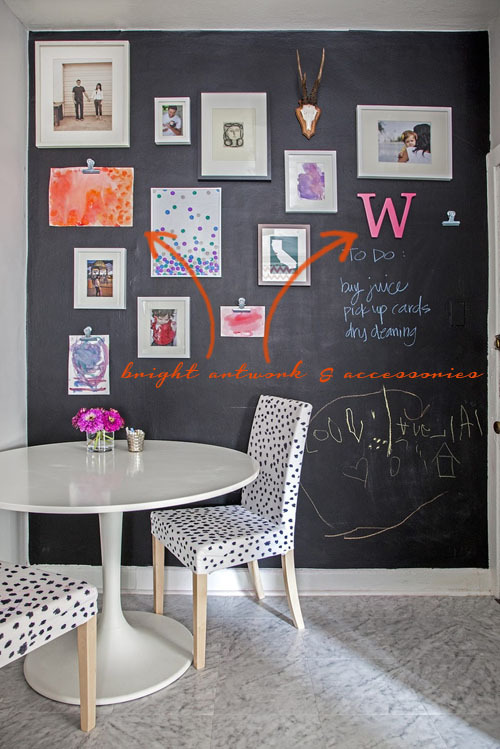 When I see images like the above, it makes me want to completely tweak each room in my home. You too? I love a neutral canvas with pops of color painted lovely into the scene. 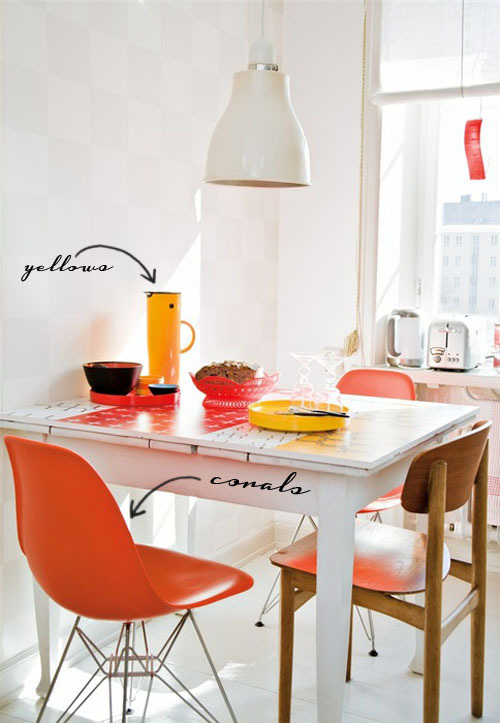 I think white walls, light floors, bright lights and colorful furniture can make any room a joy! Happy Thursday! Feel free to connect with me on Pinterest too! 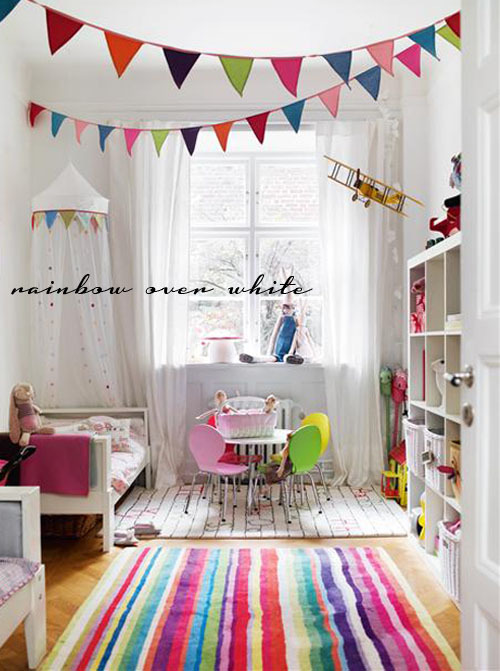 These rooms are so bright and happy! 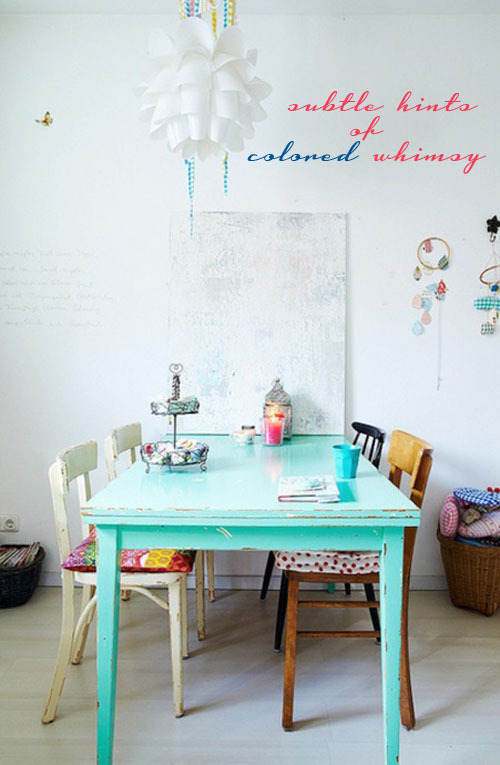 Warmer weather always makes me want to redecorate & add some new pops of color. That living room is so perfect to me! OMG...#4 is my absolute favorite...the bright colors and that chandelier!! Heavenly!